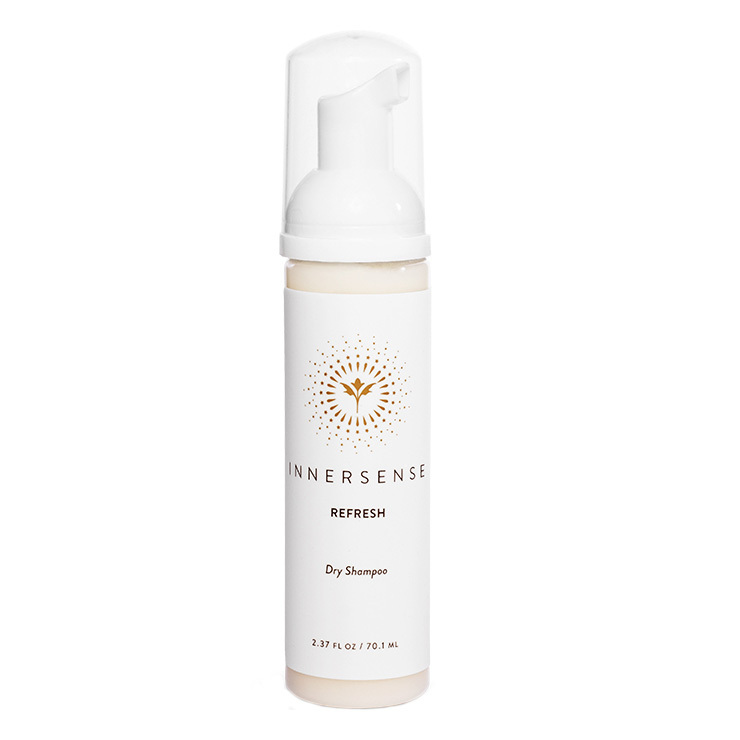 Add a look of vitality to second or third day hair with Innersense Refresh Dry Shampoo. Made with honey to lend a feeling of super softness to strands while visibly boosting shine, and quinoa is added to make hair feel healthy and hydrated. This lightweight, foam-to-powder formula provides an easy and effective way to freshen up all hair types, instantly eliminating the appearance of oily, limp locks. Gingko delivers the look of boosted volume and chamomile has a soothing feel for sensitive scalps. Shake bottle well and add 1-2 pumps of foam to palm of hand. Rub lightly between hands and apply to roots of dry hair, massaging in and working through to ends. Allow to dry and style as usual. For a look of boosted volume, lift and blowdry roots after applying dry shampoo.